Fire your black hole cannon to redirect asteroids in this endless shoot-em-up! RPG clicker about managing an orphanage. An RPG clicker about managing an orphanage. Thanks for playing! We had some issues building the game with the proper window size, so apologies for that. If you click the blue button in the corner you can play in fullscreen mode, which is better. We're thinking about making a more fully-fleshed out sequel so keep an eye out! Thanks so much for hosting such a sweet game jam. Basing it off of the Nokia 3310 was a great idea! We had a great time working with the limitations. Thanks for playing and making this video! If you play again, you can find new routes that are less virtuous. 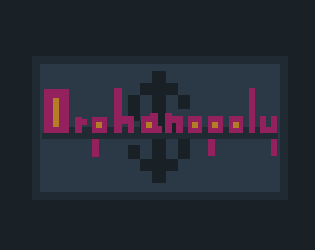 itch.io Community » Game Development » Release Announcements · Created a new topic Play Orphanopoly! Manage your orphanage in this RPG clicker. Orphanopoly is an RPG clicker game. Earn money for your orphanage and decide what to do with it. Will you work the orphans for profit or help them get adopted? This is the first game made by NunFuel. Created for the QDQ One Game Mechanic Game Jam 3. Just added a WebGl build. Added Windows and Linux builds. We only have Macs to playtest on, so if you experience any bugs, please let us know! Hope you like it! We're working on a PC build too! Hopefully, we'll get it up today.